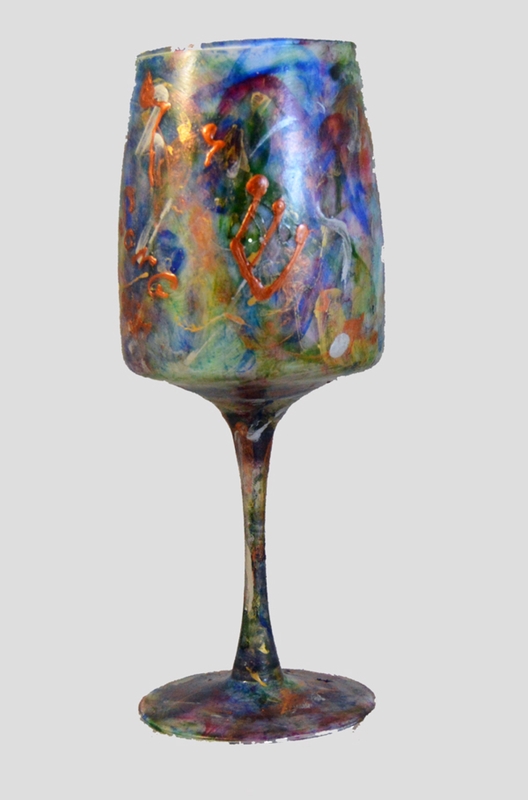 in: Hand Painted Glass, Wine Glasses, Goblets, Cups, Shir Shamayim, NEW! Musical notes float upwards, each note bearing a song of praise. Examined closely each note is a Hebrew letter, spelling the word “Shir ” which means song.